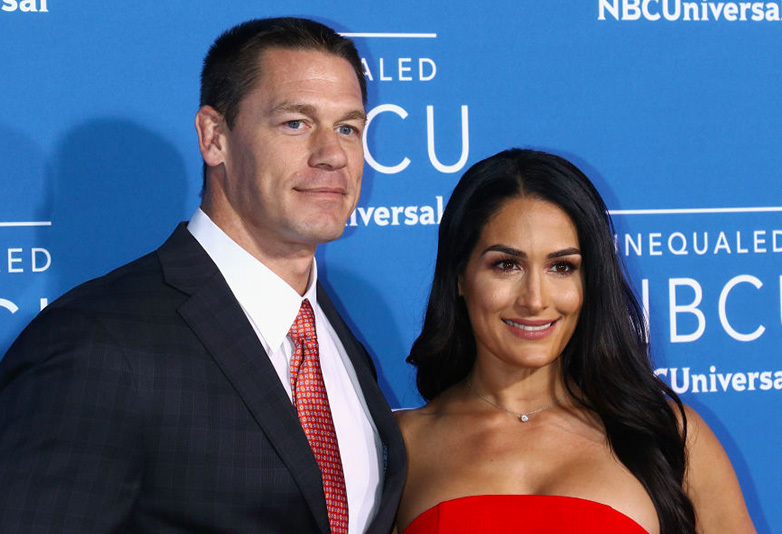 Nikki Bella has responded to her ex-boyfriend John Cena saying he wants her back in the most savage way. Yesterday (May 14) John appeared on the Today show in an effort to win Nikki back only four weeks after the couple announced they had broken off their engagement. During the interview John admitted he would still like to marry Nikki, have kids with her and start a family together. Well I am not sure that was the reaction John was hoping for! I have hope… I’m at a point in my life where I feel like I kind of lost me and I want to find me and work on me. I day I say my vows. I want to say them once and I want to fully mean them and so that’s what made me hesitant. Am I ready to say these vows? From both John and Nikki’s interviews, it doesn’t look like their relationship may be completely over then. The couple announced they had called it quits last month only a year after John had got down on one knee inside the ring during a special moment at WrestleMania 33. The news was a shock to fans as the couple had been dating for around five years. I still love Nicole, I would still love to marry Nicole, I still would like to have a family with Nicole. There was an unfortunate set of circumstances where our relationship ended. He concluded ‘I just want to be with her’ clearly desperate to make it work.